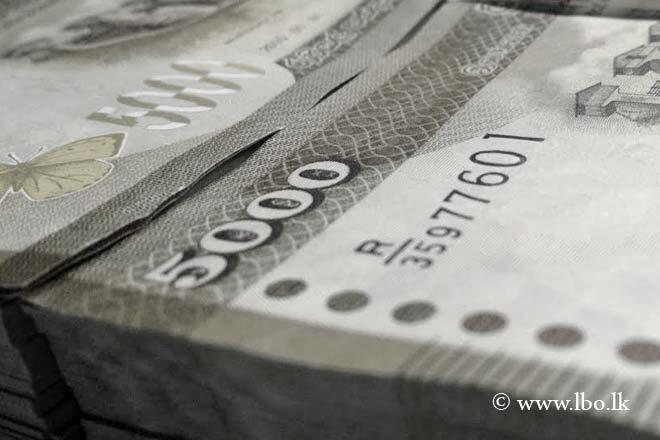 Aug 27, 2015 (LBO) – Sri Lanka money markets kept a close eye on treasury bill purchases by Sri Lanka’s central bank this week, as interest rates rose amid turbulence in global markets. The central bank’s holding of treasury bills increased to 92.4 billion rupees on Monday from around 69 billion earlier this month, which is effectively the printing of money. Its holdings at the beginning of the year was a low three billion rupees in comparison. The central bank’s holdings of treasury bills edged lower to 87.6 billion rupees on Thursday. Amid a depreciating Chinese yuan, eyes were also on the currency which has been tightly held at 134.15 this week. This is despite rising pressure from imports tied to consumption demand and outflow of dollars from government securities. “Currently the main concern is the exchange rate. I think we are holding on to it a bit too tightly,” Kasun Palisena, the chief executive of Perpetual Treasuries, said. One year treasury bills climbed a sharp 25 basis points to 6.97 percent this week. That rate was at 6.0 percent at the beginning of the year. With difficulty in managing both interest rates and the exchange rate, it seems the central bank is allowing interest rates to adjust upwards. “They are showing they are alright in interest rates moving up, so that direction is given,” he said. Liquidity in the money market was 46.4 billion rupees on Wednesday. Due to interbank limits, and foreign banks holding excess cash, there was activity at the usually quiet reverse repurchase window this month. The window was active on August 18 and August 19 at 7.5 percent. “People coming to the central bank reverse repo window is not a good sign in the sense that it might lead to interest rates picking up drastically,” Palisena said. To mitigate this the central bank introduced an OMO auction from the 20th of this month. The rate at this auction has been 6.15 percent. Commenting on the next monetary policy announcement, Palisena said: “I don’t expect a change in monetary policy currently.” The next monetary policy announcement will be on Monday, 31 August at 7.30pm.